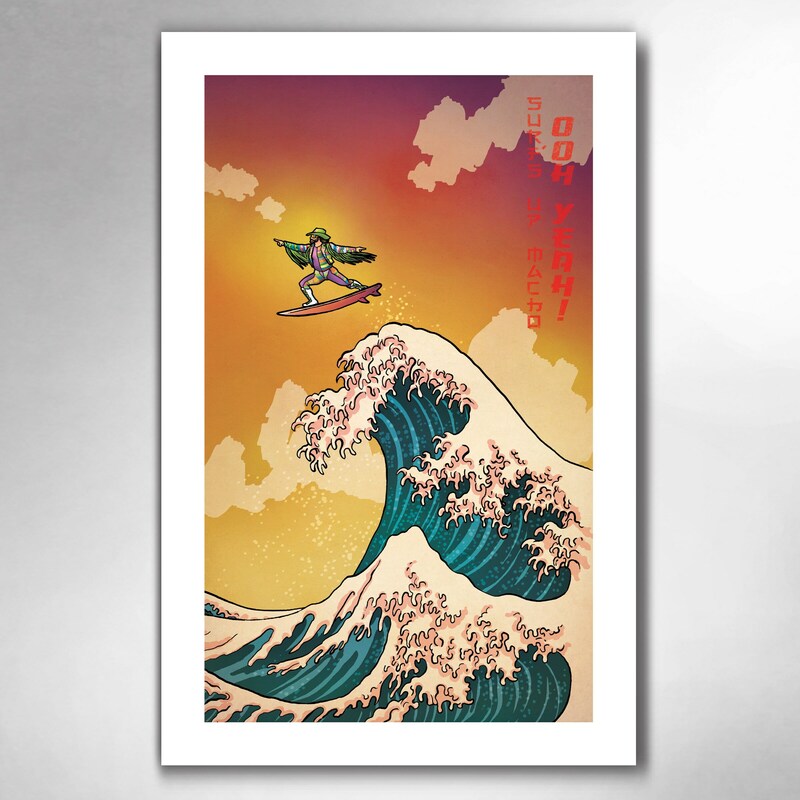 "Surf's Up, Macho Man" art print by Rob Ozborne. From the Great Wave / Big Surf series. THE STORY: Oooh Yeahhh! 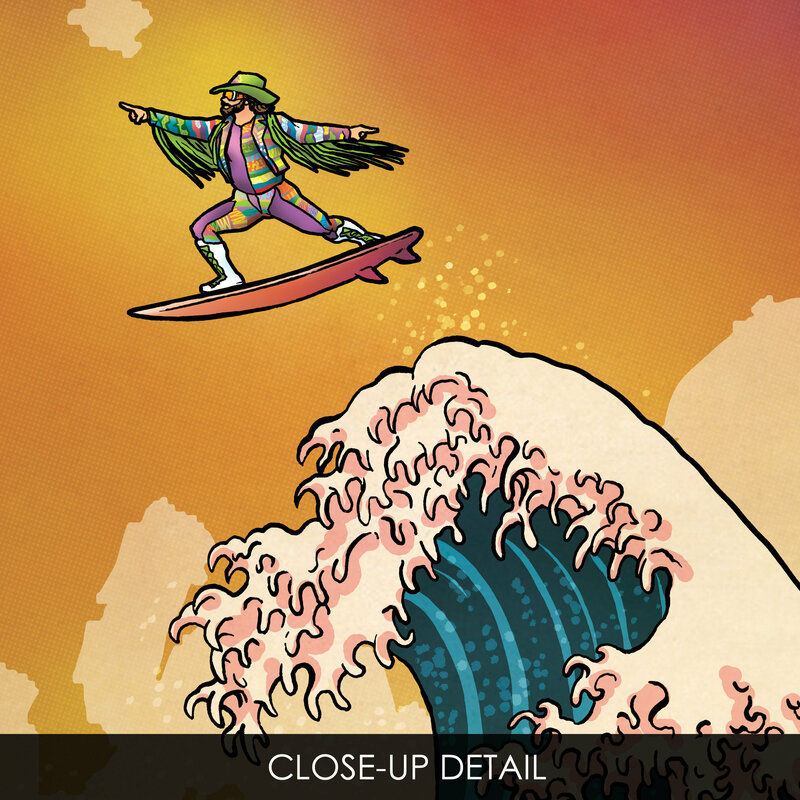 Macho Man riding the Great Wave! Cream of the crop surfs to the top! Inspired by the classic woodblock art prints of Japanese artist Katsushika Hokusai, the artwork captures the spirit of the Great Wave, and makes it go pop. THE PRINT: The artwork is printed on 11"x17" bright white matte art paper. The colors are lush. The frame is not included, but the print comes with a white border, and is ready to pop into a frame. SHIPPING & HANDLING: Great care is taken in preparing your print. Placed in a protective sleeve, gently rolled and well packed, your artwork ships in a sturdy tube.